In today’s competitive environment what would it take for you to become a more effective leader in your current role to take advantage of the tremendous need for new skills by all sectors in air cargo associated industries? The air cargo industry is going through a metamorphosis at the moment as consumer behaviour has globally switched to an “I want it now” immediate gratification mode for all commodities. This has been brought about by the tremendous impact of companies like Amazon and Alibaba who have changed the consumer buying behaviour through their speed, ease of use and vast variety of product offering. They are focussed on making their platforms “one stop shopping” experiences for every consumer. This has forced the forwarding industry to have to confront shippers who are much more savvy and aware of all price and service possibilities available to them, and in order to be competitive work with ever smaller margins. Airlines, as a consequence, and their suppliers such as ground handling agents, airports and trucking services are facing demands to lower costs and increase service at the same time to remain competitive. Most of us know that we should make time to improve and develop ourselves with new skill sets but in our current jobs, the economy and the air cargo industry right now, we are fire fighting and working hard and late just to keep ahead. We do not have the time to think strategically, let alone think of self-development and unfortunately in many cases neither does the company have the time and finances nor the inclination to support you regarding this right now. I can hear most of you saying “but that’s rubbish”, we think about it all the time but its not a priority. I am glad you think about it at least, because this is the time the industry, your company and you need those skills even more. Some may argue “but we have sent our employees for training!” Operations training. Tick. Security training. Tick. Dangerous Goods. Tick. Sales training. Tick. The air cargo world has been talking about changes and progress has been quicker in some areas like regulatory compliance, security, I.T. issues, etc., and at glacier speed in other areas such as e-Freight and strategic corporate positioning in the rapidly changing world that air cargo logistics has become. We are not going to get into those reasons as they have been elaborated at length by various organisations. We have heard many times that technology is an enabler so what is stopping us and the industry from changing? We know we have to change but many of us and our organisations struggle with change because we have been doing things in the same way for decades or we would like to change but perhaps, may not know how because the world of air cargo market dynamics are moving so quickly and in many diverse directions. Snooze and we lose. Is there a magic wand to change all that? As you may have expected, the answer is no. However, we can become a better leader if we first recognise that we need to improve in certain leadership competencies in this new order, in particular, soft skills. Self-awareness would already be the first step to becoming a better leader. Any company that does not have a clear strategic direction, and invests in its new leadership candidates to effect change; will not survive in the years to come. How do we obtain those skills? Performance management is “a process that contributes to the effective management of individuals and teams to achieve high levels of organisation performance.” (CIPD and Armstrong and Baron, 1998). When designing a performance management system, a company has to consider the purpose for the system to avoid creating a ‘standalone’ system that employees are sceptical of its effectiveness. This system has to be aligned with any other HR systems and integrated with the business strategy and intended outcomes for it to be an effective tool to support the business performance goals, behavioural expectations and timelines. To manage our business globally in air cargo, we have to manage our human resources strategically and with a clear sense of purpose. Some questions to ask are: What behavioural competencies do we want our employees to exhibit? Could we consider a team-based performance measurement rather than an individual assessment? What would we need to ‘build’ a system around that? What other metrics would we need to put in place? How would we hold employees accountable? How will we support our employees in the change roll out? Let’s talk about mindset change and leadership skills, in particular, soft skills. From an organisational mindset perspective, consider for example, the ways we view the industry and non-related industries. How we are doing business with other companies and what is our relationship with them? Is it adversarial, tactical, and strategic? What sort of people do we need today leading these discussions, which are so interrelated, with our strategy, and how do we ensure the people that lead these interfaces are properly trained and schooled to support the company’s strategy? Soft skills training are usually ignored in the air cargo industry as the priority is on the regulatory compliance and technical knowledge and skills to meet immediate needs. It is understandable as we have to allocate resources to the priority areas. We work with organisations that believe in the importance of soft skills in their managers to become more effective leaders. They recruit based on attitude, interpersonal skills and ability to work as a team. Their view is that technical knowledge can be taught and they can learn from experience. The payoff is employee engagement and performance. As a training and consulting company, training is music to our ears but we do not always recommend training. Sometimes, there are other interventions such as mentoring or coaching or a combination of training and coaching that may be more suitable for a particular employee with specific requirements. From a personal mindset perspective, consider how we view our personal and business worlds, how we interact with each other and the behaviours that we manifest in those interactions. Some of us may say but that’s me! Sure, be ourselves but be mindful of the impact of our behaviour and actions on those around us. Being more self-aware and understanding the triggers of our behaviour will help us to identify the means we can counteract them and change the way we behave and act. For instance, we could ask ourselves the reasons we keep interrupting whenever someone is speaking. Understanding the reasons, identifying the ways we can stop interrupting someone and practising active listening will help us become better listeners and communicators. Your return on investment will be you become a more effective and confident leader who can mobilise your team and those around you, and attain professional success. Organisations investing in the soft skills development of their managers will see enhanced employee engagement, retention and performance. Consolidation in the industry today is massive, with small and medium sized companies merging to gain scale and some semblance of market presence and scope to survive. It is happening with forwarders, airlines and also with all the support services that surround us like the other logistics providers, and integrators. If you want to be a part of the successful brands that survive, invest in your team in every way possible! 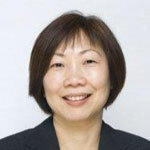 Lilian brings a strong international business background and empathetic style to managing people through change. She has a history of success in people management, corporate planning, programme design/implementation and sales & marketing to initiate and support organisational growth globally, in the aviation and logistics sectors. She is familiar with managing multi-cultural and multi-disciplinary teams due to over 20 years of global high level sales and marketing experience. Lilian has worked with Multi-National Corporations in aviation, logistics, office automation and electronics such as AirBridgeCargo Airlines, Panalpina South East Asia Area, TNT Express Asia Regional Office, KLM Cargo, Rank Xerox and Sanyo. As an experienced Cargo practitioner, Lilian delivers programmes on behalf of IATA, TIACA, and other organisations, and is a certified ACC3/RA3/KC3 EU AVSEC Validator. She is also a Speaker and Moderator at industry events.